The first International Buddhist Festival ?The Inner Path? NETPAC India and Devki Foundation have come together to host the first International Buddhist Festival ?The Inner Path? 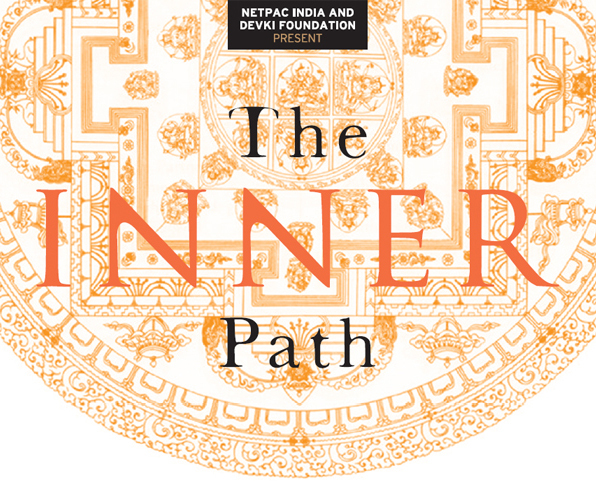 NETPAC India and Devki Foundation have come together to host the first International Buddhist Festival ?The Inner Path?, slated from April 27 (Friday) to May 1 (Tuesday), 2012 at Azad Bhawan, Indian Council of Cultural Relations (ICCR). The festival will present Buddhist philosophy and aesthetics through various creative forms ? a dance performance, films, an exhibition of photographs and selected art works, discourses, discussions and debates, demonstrating the myriad streams of Buddhism practiced around the world, yet all directed towards ?The Inner Path?. Buddhist Film Festivals are held worldwide but this is the first time that such a festival will take place in India, the birthplace of the Buddha. The objective of the festival is to promote an understanding and appreciation of the art and philosophy of Buddhism together with the interaction of participants and audiences with scholars and filmmakers. Exhibition: The Greatest Journey of Ideas: Spread of Buddhism ? a select range of photographs of Buddhist Art in 19 countries, by art historian-filmmaker- photographer Benoy K Behl. This is a preview of an exhibition before it opens in London, Washington and Tokyo from May 2012 onwards. Dance: Buddhist Sacred Dances and Rituals from Sri Lanka. Film: Twenty features, documentaries and shorts will be screened. These come from Bhutan, Argentina, Korea, Sri Lanka, China and Japan and speak of the manifold aspects of Buddhism and of great Buddhist iconic figures. Renowned directors and film personalities from these countries will be present. Saturday: 28 April: Tibetan Buddhism and the Nalanda Tradition by Geshe Dorji Damdul, Director, Tibet House, New Delhi. Monday 30 April and Tuesday 1 May from 2 to 4 pm there will be panel discussions on Boddhisatvas, organized and conducted by Prof. Shashi Bala, scholar and author of several books on Buddhism. The term, Boddhisatva raises many questions and misconceptions. These sessions will give a chance to those who wish to understand and absorb the meaning and symbolism behind Bodhisattvas. NETPAC (Network for the Promotion of Asian Cinema) is an international organization with its Secretariat in Sri Lanka and Aruna Vasudev is its Founder-President. NETPAC-India has been actively promoting Asian cinema in India over many years. In 2010 it organized in Delhi the 20th anniversary of the founding of Netpac International with a major conference, Asian film festival, performances from five countries, and exhibitions. In 1995 it organized screenings of a package of Asian films on Buddhist themes, also at Azad Bhavan. Devki Foundation is a registered Trust of Award-winning Film Producer Suresh Jindal some of whose films include Basu Chatterji?s Rajnigandha, Satyajit Ray?s Shatranj Ke Khilari, Attenborough?s Gandhi, Mani Kaul?s Naukar Ki Kameej, etc. He has just finished the shooting of Vara, the new film by Khyentse Norbu (who made The Cup & Travellers & Magicians), as Executive Producer. The Trust is involved in supporting Buddhist schools and Dharma Centres, and sponsored other events. The festival has been conceptualized by Aruna Vasudev, President, NETPAC and is being held in partnership with Suresh Jindal, Chairman, Devki Foundation.